Themes: Hi-Lo, adapted classics, low level classics, graphic novel. These literary masterpieces are made easy and interesting. This series features classic tales retold with color illustrations to introduce literature to struggling readers. Each 64-page softcover book retains key phrases and quotations from the original classics. 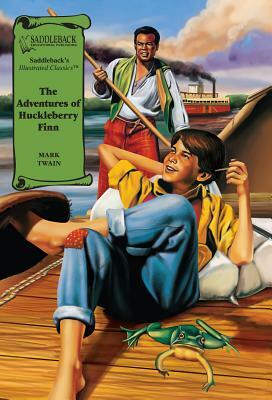 The Adventures of Huckleberry Finn takes place on the Mississippi during the late 1800s... when the riverboat and small towns along the river were adventurous, exciting, and romantic.